2012 was a pretty epic year for visual trickery. We stared through telescopes, transfixed by Venus' cosmic trick of the light; gaped in disbelief at a Rubik's Cube that wasn't; and watched with morbid curiosity as celebrities transformed into grotesque mutations of their former selves. 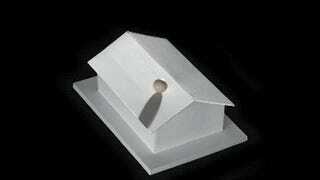 Sound crazy? We're just getting warmed up. 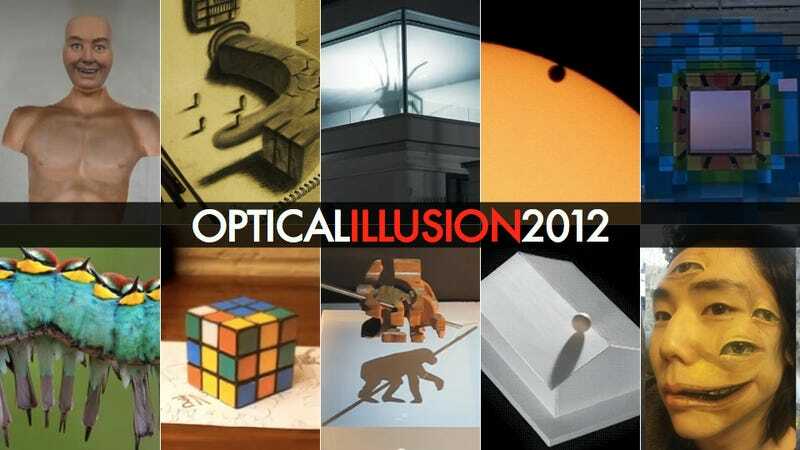 Here are our picks for the very best optical illusions from 2012. Society harbors a strange obsession with seeing celebrities disheveled, out of makeup, and out of shape. The video featured here takes that fascination and turns it totally inside out, by using normal photographs of good-looking celebrities to illustrate what's known as the "Flashed Face Distortion Effect" — an optical illusion first described last year by University of Queensland scientists Jason Tangen, Sean Murphy and Matthew Thompson, and re-imagined this year in the celebrity-version featured above. What makes us see Jesus in a taco, or a human face on Mars? The 300-Year-Old Mystery of Why Venus Causes the "Black Drop Effect"